Someone not so recently asked a big question, "Why does the 1970's inflation matter so much to economic thought?". There are so many stories told about that period that it has passed into myth. It isn't really clear why, at least if you look at it through the lens of high powered macroeconomic theory. Supposedly it all has something to do with the Phillips curve. The Phillips curve is an expression of the observation that the rate of inflation is negatively correlated with the rate of unemployment. The Phillips curve hypothesis is that this correlation is stable (at least, holding institutions constant) and that the order of causation can run from inflation onto unemployment. The usual story is simplistic: "Back then we believed in the Phillips curve, but the 70's taught us not to do so.". That sound you hear is a vortex generated by philosophers of science rolling their eyes. When you try to put meat on these bones, you find they break too easily. It isn't easy to find a high flying macro theorist who actually believed in a stable, exploitable Phillips curve. The classics certainly couldn't believe in such a money illusion; Keynes couldn't have argued for a stable inflation/unemployment trade-off (if it existed, why would we need G > 0 ? ); Samuelson and Solow certainly didn't believe in it; nor did Fed Chairman at the time Arthur Burns. It's hard to find a single person that "believed" in the Phillips curve in the way it is said to have been. These facts - and they are brute historical facts - have led some to believe in a conspiracy theory of the 70's. "Milton Friedman and the Chicago School convinced everyone that the 70's 'proved Keynes wrong because the Phillips Curve was wrong!1!' was all a lie and therefore modern macro is an illusion meant to disguise naked power grabs by The Enemy.". I put it in a way that you could see how fallacious such reasoning is, but I've seen it put almost as bluntly before. It is strange, you have to admit, that such brilliant people would be snookered by it. Not just right wing radicals who want validation came out of this. Ed Phelps, Stanley Fischer, and Tom Sargent all saw ... something invalidated. But if it wasn't the Phillips curve, what was it? The first thing that you have to realize about the 1970s is that it was not, in fact, the 2010s. Nobody in 1976 - not Nixon, not Friedman, not Samuelson and not anyone in heterodox economics - was also in 2016. Everybody was groping blindly and if some had more insight than others, well we should be so lucky. The other thing to realize is that high falutin' macro theory is a tiny and rare thing. Nixon certainly never read a single work in the field and didn't have any friends that did. Ed Cole - one of the presidents of General Motors - could tell you a lot about the Chevy Corvair or Vega, but knew and needed to know nothing of the debate over large scale statistical models and certainly he had no opinions worth noting on anything as abstruse as the Cambridge Capital Controversy that was so distracting in the 60's. This is interesting given how macroeconomic his job was. Some basic facts from Wikipedia: GM at its height measured its profits in % of GDP. GM was the second largest employer in the world - behind only the entire Soviet state. So, given that Cole was no expert in high macroeconomic theory for its own sake, what did he believe? Clearly, I can't read his mind. But I can give you a picture of what he likely believed, even if he would quibble with a nibble or two. If you are a fan of brief summaries, I'll give you one: "He thought he lived in the era of Mad Men.". The person who most clearly put the vision to paper is J K Galbraith in his books The Affluent Society and The New Industrial State. Since this vision failed, it might seem that I came to pick on him, but I actually a lot of sympathy for him. He was trying his best and had a basically empirical outlook. He was basically right on backing imperfect competition. Even if he went too far and replaced it with something equally simplistic, Galbraith was right to question consumer sovereignty. He worried about the structure of the firm and capture of government legislation by business before it was cool. Galbraith was trying to think through ideas that don't formalize very easily. He was trying to get away from the myth of the rational consumer. Herbert Simon was working on similar ideas and did better work, but never anything macro related. Galbraith tried his hand and if he didn't succeed, well, did anyone? Galbraith's method is developed in his second book, The Great Crash, 1929. This is a strange book for a modern to read. The first thing one notices is how little a role the year 1929 plays. The lengthy, hilarious section on the Florida real estate bubble is the best part of the book - but what all does it have to do with the Great Depression? This part of the book is an argument - I don't remember if it is explicit or implicit - that the market is not guided by rational consumers. 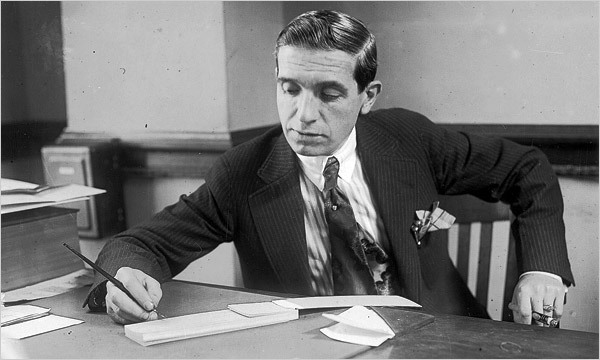 The masses are irrationally attracted (that is to say, they will invest more than they would expect to receive if held down and forced to think it through) to the promise of easy money, even if it comes from Carlo Ponzi or Donald Trump. They are irrationally repelled by the slightest loss. They put good money after bad. They're moved by emotional displays from the wealthy. They do many things, but they do not maximize net present value like Irving Fisher taught us. Though the masses are not very good consumers, the advertisers and engineers, they're very good (supposedly). From this vision, the corporation emerges as the fundamental entity of economics. A corporation consists of four parts (my typology, not his): the capitalist, the engineer, the laborer and the advertiser. The advertiser has read his Freud and empirically studied the deep parts of human nature. As depicted in Freud On Madison Avenue, the advertiser designs the aesthetics of the car to be a giant phallus with a clitoral emblem on a vaginal grille. He can then determine exactly how much the irrational consumer will buy in aggregate. The engineer then designs the car as a functional item, which selects the costs of production. The laborer and capitalist then build the cars. The income is then divided among the four parts of the corporation by the labor contract (which is fixed by negotiation between the capitalist and labor, which in practice is represented by union officials). Note that it is not the profit that is divided, but the income. That doesn't matter in this system - income and profit are jointly decided by the engineering and advertising experts. The corporation never has to worry about society wanting less products in general, demand will be simply created by the government if it ever accidentally slackens. There is much to criticize in the above system. The biggest problem is a very strong difference that is assumed to exist between the irrational common consumer and the tiny echelon of experts that control them. There's no way to get around this, there should be no apologetic for it and there is no question into which class Galbraith put himself. It is assumed, not proven. When pushed on this point, Galbraith would fall back on his endless supply of jokes about irrational consumers. In his economics and his novel, this was all but explicit. The only question was whether people Galbraith would be allowed by his fellow elites to make the masses a comfortable world. There is no freedom to give them. The role of the state is very strong in Galbraith's mind. I've already mentioned maintaining demand at a full employment level. Another is managing labor unions. The labor unions face a macroeconomic prisoner's dilemma. Imagine two labor unions that have the choice of either asking for higher wages or keeping them stagnant. If they both keep stagnant, then the price level stays the same and everyone is well off. If just one asks for an increase, then its members are much better off. But if both ask for an increase, relative wages stay the same but the money price of everything goes up. Therefore, people are worse off. (This actually happened in England in the 70's) This is one of the state's tasks as countervailing power against the large corporations (and their unions). The simplest and most dangerous way of doing this is wage controls - Galbraith never bothered to ask for another one. Price controls in general follow from the same argument on advertisers instead of laborers. Outside of the secluded world of high economic theory, much of what I just exposited was uncontroversial. Arthur Burns, the head of the Federal Reserve at the time, believed much of it. Galbraith's books were best sellers. Further, it was in the general culture. To be an adman in the 60's was to be the king of the world. What happened in the 70's was the fall of the whole idea. For the first time, the mandarins in charge were forced to admit that demand management was non-trivial. The incoherent system of monetary policy, price supports, unpredictable government regulation and massive war time spending interacted with oil-induced supply shocks and changing culture demand shocks to pull aggregate demand in every direction. The net result was gas queues, stagflation and malaise. The role of the failure of price supports, while not shocking to any theorists, bolstered Friedman's claims that markets were a necessary part of demand management (he didn't put it like this). Friedman prestige didn't come from just getting it right, it came from how he got it right. No high powered macroeconomist denied the possibility of stagflation - but Friedman happened to have the perfect combination of being against price supports, for rule based monetary policy, for smooth government regulation (okay, I'll be fair. He was against government regulation in general) and having done deep work about how the economy can smooth over shocks. It was exactly what people needed in 1971 (well, government regulation in general is arguable, but certainly not basically arbitrary price controls). The markets upset the Galbraithian vision in a deep way. Recall that GM's deeply learned advertisers decide on how much sales they make this year. The human mind cannot resist the sexual allure of their automobiles ... supposedly. But the oil crisis meant that people wanted smaller, more efficient cars, not rolling slabs of steel. The Japanese entered the automobile market with cars that people wanted and GMs sales declined. Wasn't GM supposed to control sales? Another example. When GE designed a television, they decided the sales. They knew - knew - what people wanted in a TV: they wanted a wood exterior and a durable stainless steel frame. They wanted furniture (I know they thought this, because I've talked with the people who built them at the time). 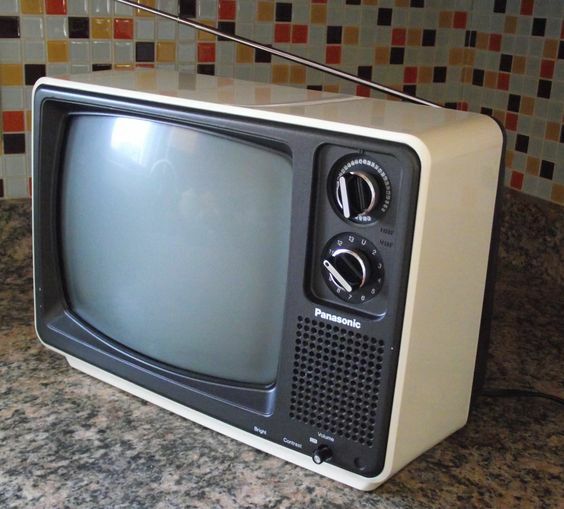 When Japanese companies started exporting cheaper, lighter all plastic televisions, GE was sure no American would want one. As it turned out, those "irrational" consumers resisted the psychological allure of the expensive American furniture and just bought cheap, functional boxes. This is not how the system was supposed to work! Didn't these consumers know that they were irrational? You see, through the lens of the 70s experience outlined above, purely rational expectations economics starts to look good. However, once the "t"s were crossed and the "i"s dotted, the New Classical school that supposedly took them as their basis didn't live up to its promises. I mean this explicitly - they promised to pass statistical tests that they did not. The New Classicals stopped using these statistical methods because "they were rejecting to many 'good' models". 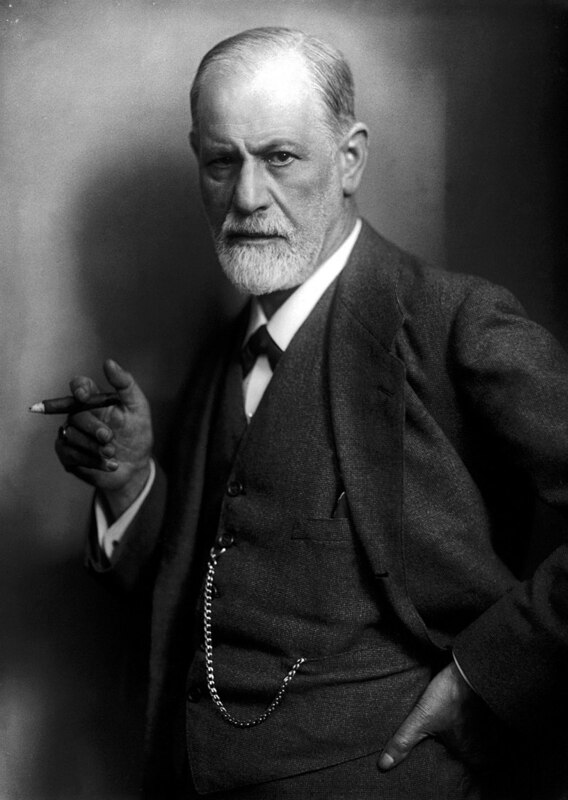 Perhaps this movement toward "rationality" was itself irrational. In many ways, by the time the 80s ended, the rationality revolution of macroeconomics was spent. In other fields (the aforementioned industrial organization, for instance), the move to rationality bore better fruit. Even with all these qualifiers, it was still the 70's that forced people in power to consider the consumer as an autonomous human being. And that is why it looms so large in our thought.